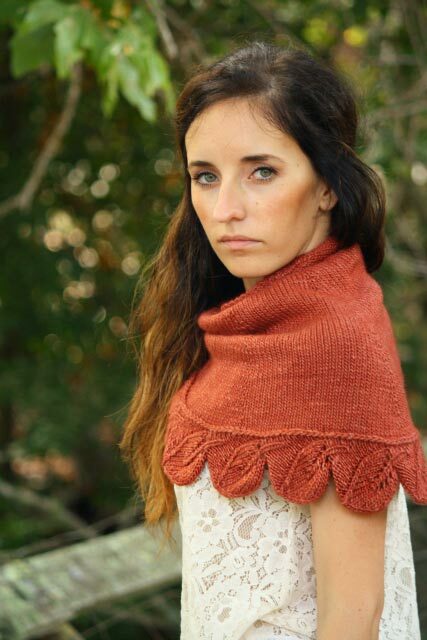 A larger semi-circular shawl version of my popular Cedar Leaf Shawlette to wrap around your shoulders. 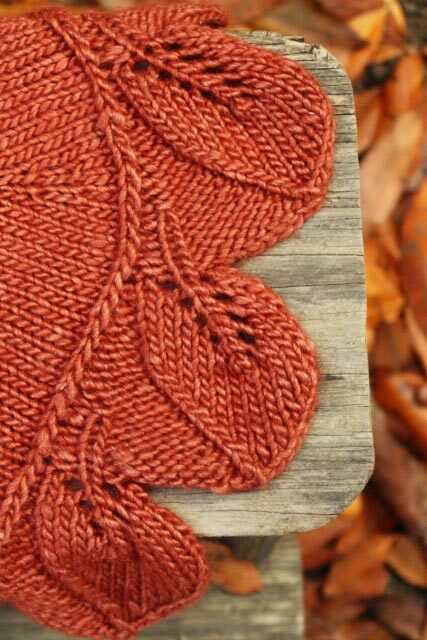 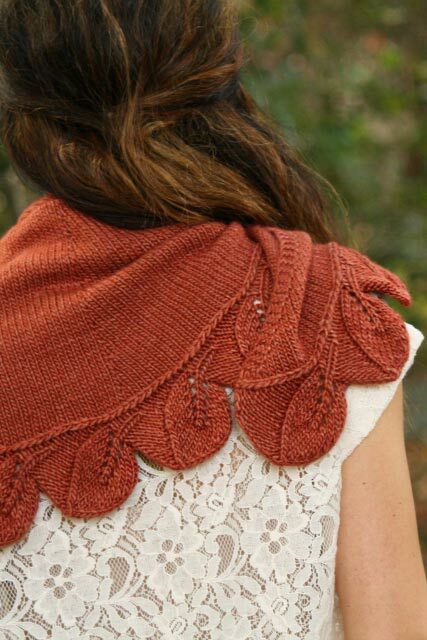 The scalloped, leafy border is knit on once the body of the shawl is complete. 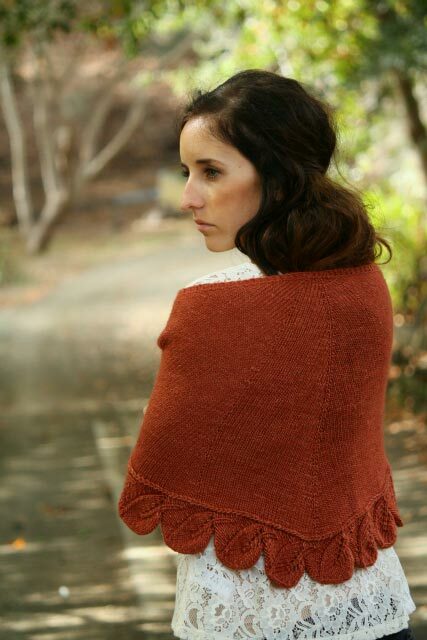 20 sts and 36 rows over 4" / 10 cm in St st on US7 / 4.5 mm needles or size needed for accurate gauge.